The Mpower Fest is a night of music with a bigger purpose. 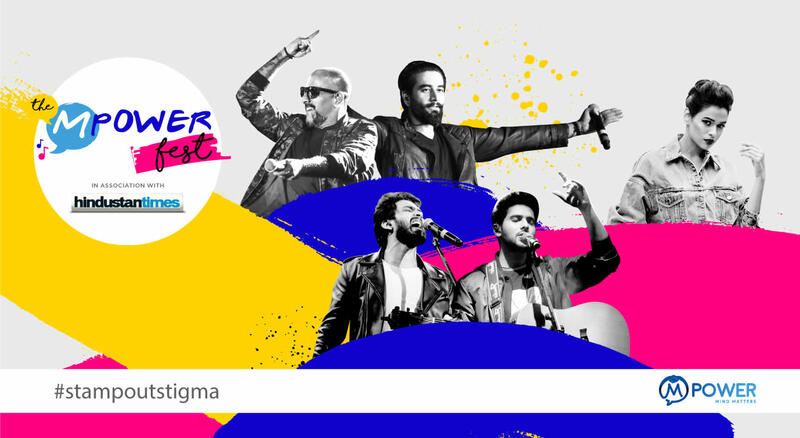 Come witness performances by some of the top names in Bollywood and comedy, which aims to spark a conversation about the bigger issues of mental health - stamping out stigma, open conversations, the need for seeking help and so much more, through the medium of a concert. At Mpower Fest, you'll see a stellar lineup who passionately advocate for mental health awareness come together to perform for a greater purpose. Power packed performances, and a powerful message. Get your ticket now. The winner of Filmfare, GiMA, Mirchi Music Awards & the prestigious Dadasaheb Phalke Foundation Award. 23-year-old Armaan is already taking the world by storm. His latest singles Ghar Se Nikalte Hi & Ready To Move have crossed 90 million views cumulatively winning hearts of his fans around the world. Shalmali Kholgade Our next act at The Mpower Fest is Filmfare Award Winner, Shalmali Kholgade. Having started her tutelage at the age of 8, under her mother Uma Kholgade, a renowned classical singer, Kholgade began her Bollywood playback singing career with the song "Pareshaan" for the film Ishaqzaade (2012), which earned her wide success and several awards and nominations, including the Filmfare Award for Best Female Playback Singer. The following year, she garnered a second nomination in the Best Female Playback Singer category at Filmfare for singing the song "Balam Pichkari" from the coming-of-age romance Yeh Jawaani Hai Deewani (2013) and received praise for the song "Baby Ko Bass Pasand Hai" from the sports drama Sultan (2016), both of which rank among one of the highest-grossing Bollywood film. She received critical acclaim for her singing style in a series of hit songs, including "Aga Bai" from Aiyyaa (2012), "Daaru Desi" from Cocktail (2012), "Lat Lag Gayee" from Race 2 (2013), "Chingam Chabake" from Gori Tere Pyaar Mein (2013), "Shanivaar Raati" and "Besharmi Ki Height" from Main Tera Hero (2014), "D Se Dance" from Humpty Sharma Ki Dulhania (2014), "Mohobbat Buri Bemari" from Bombay Velvet (2015), "Shakira" from Welcome to Karachi (2015), and "Naach Meri Jaan" from ABCD 2 (2015), all of which topped the charts. Watch her scorch the stage with her greatest hits at the Mpower Fest.